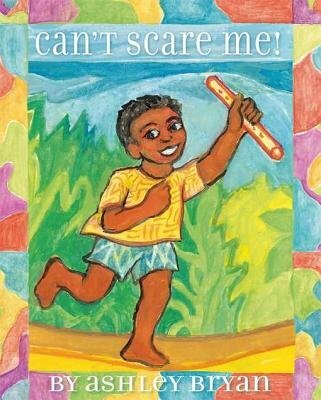 From celebrated legend Ashley Bryan, a lavishly depicted cautionary tale of fearlessness and many-headed monsters.There was a little boy who knew no fear... Nope, no fear at all. Not even when his grandma warns him of the giants--the two-headed giant and his three-headed brother, that is. Because this wild, fearless boy isn't scared of any many-headed giants at all! So one day, he slips away. He just takes off and leaves his grandma behind. After all, what does he care? He's got his mangoes, and the sunshine, and his flute. And he isn't scared one bit. But our boy isn't really bad, you know; just wild. And soon he misses his grandma. So he turns around, and runs right into--those monsters. He's about to discover that he may indeed have something to fear...their terrible, horrible singing voices! This trickster tale from the French Artilles will have readers toe-tapping and trying out their own singing voices.